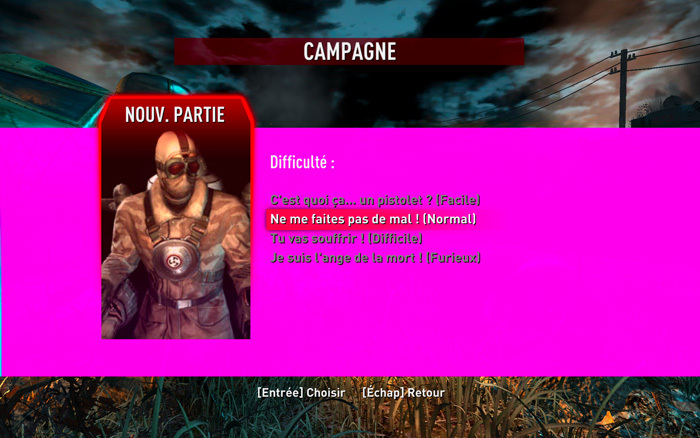 Wolfenstein (2009) fix the pink ? I was wondering if there was a way to get rid of those pink parts, apparently showing instead of semi-transparent overlays (the crosshair is also pink and blue). I'm using WS9Wine 4.2 and Wineskin 2.8.9Beta6. It seems to be the only problem with this game. How did you get this working. Any additional winetricks do you use and what's your hardware Mac spec? I allow get OpenGL version not supported. It works out of the box, just copied the folder with wineskin. I'm using a Hackintosh not a real mac (core i7 3,6 Ghz). I saw that subject in Winehq https://bugs.winehq....ug.cgi?id=34692 So I tried to install d3dx9_36 via winetricks but it didn't work. Is it an option in Wineskin ? Sounds like you GPU is old thatâ€™s lightly the reason for the error. The bug says the patch was added into Staging so instead use Staging but it says dxtn was the needed patch so if Staging does not work you could try WineCX18.1.0 or the latest WineXSherry from Slice. Indeed changing the engine to Staging 4.3 made the bug disappear ! Thank you. Didn't change anything else. I still have a little bug, though. 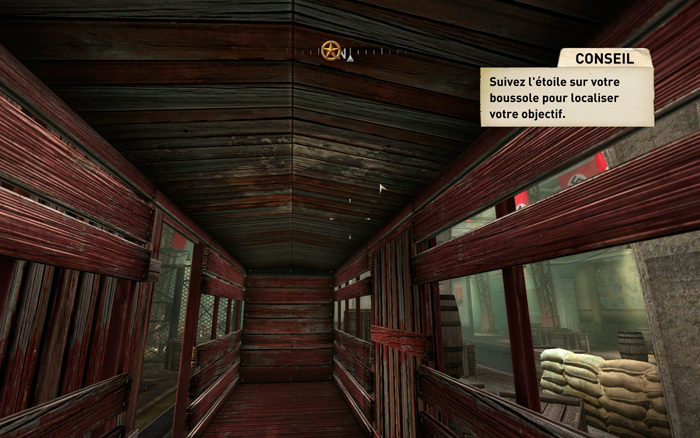 The mouse cursor showing in the gameplay. Close to this bug : https://bugs.winehq....ug.cgi?id=19841 Not really sure but it seems to appear at the beginning of a new mission. I have to relaunch the wrapper to make it disappear. Iâ€™m not sure what that could be, but from reading the bug it could be a regression within wine. Seems the bug can happen after a cutscene too. I've noticed during a play that the cursor disappears properly again after finishing a level. I wonder if the bug was only partially fixedâ€¦ As it only appears after completing level 1. Didn't do the trick, alas. It's not the mac cursor, by the way, but the in-game cursor. I've noticed that if I don't skip the first cutscene (didn't have the patience to not skip the second one, thoughâ€¦) I get the cursor bug right at the start. The cursor doesn't stay in center like the crosshair. 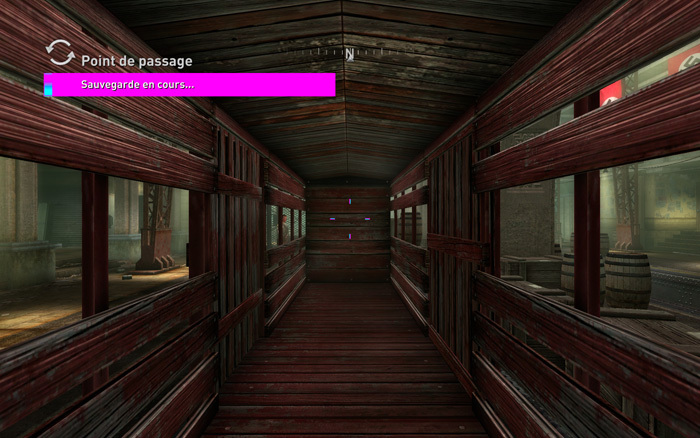 I made another test : skipping all the cutscenes prevent the cursor to appear. Made it to level 2 without the cursed cursor, hehe. Just for info, I finally changed the engine to WineCX 18.1.0. The cursor never appeared during combat with this one. But sometimes you just completely lose the cursor, and you can't use the mouse navigation in menus anymore. (a bug also present in Staging) I finished the game without any problem otherwise.